Ready for your amazement and visual pleasure -- “Exotic Arthropods: Splendors of the Planet” now on display in the exhibit hall. Bring the neighbors and the kiddies. The Museum gallery is open Monday through Friday, 10:00 a.m. until 4:00 p.m., and Saturdays Noon until three. Park in the Physical Plant parking lot just off of East Campus Drive. Walk right in the door beneath the killer whale. 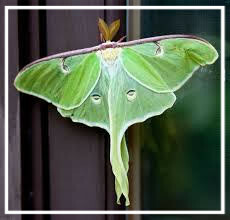 This Saturday Kim Leissner will be there to answer your questions about those moths attracted to your porch light – Dr. John Pickering knows, and he’s taking their pictures. He’ll explain it all in a presentation sponsored by the Friends and by Discover Life. April 6, 4:00 p.m., at the Richard Russell Special Collections Library Auditorium. Stay tuned and Mark your Calendars.